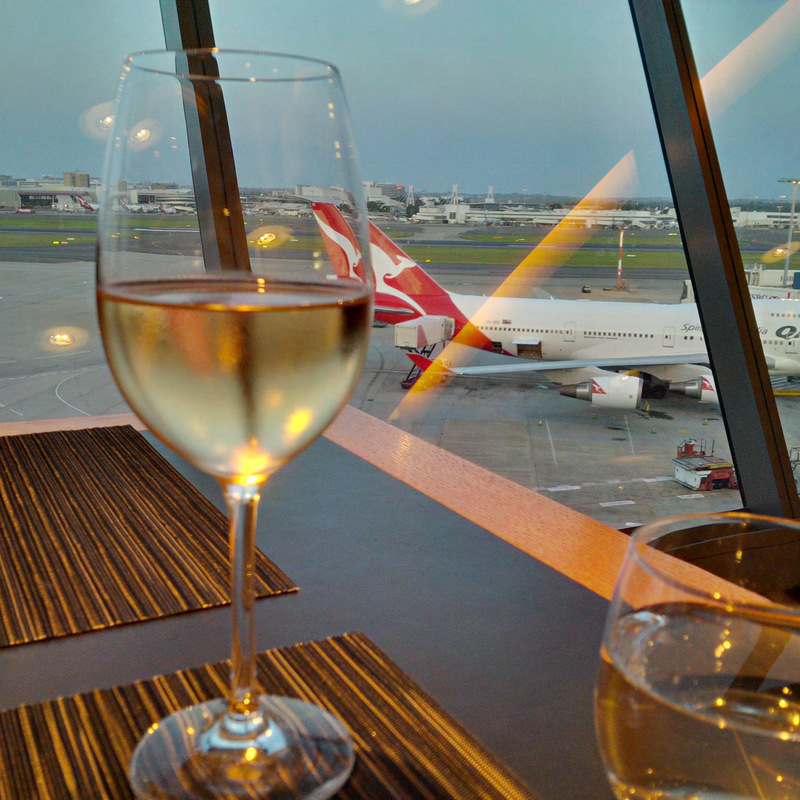 So here I am at my favourite place in the world, the Qantas Lounge. I walk up the wonderful escalators have a brief chat to the lounge host before finding a seat with a view over the tarmac. Qantas has just released the Autumn Menu in their First Lounge and I am super keen to try it out. 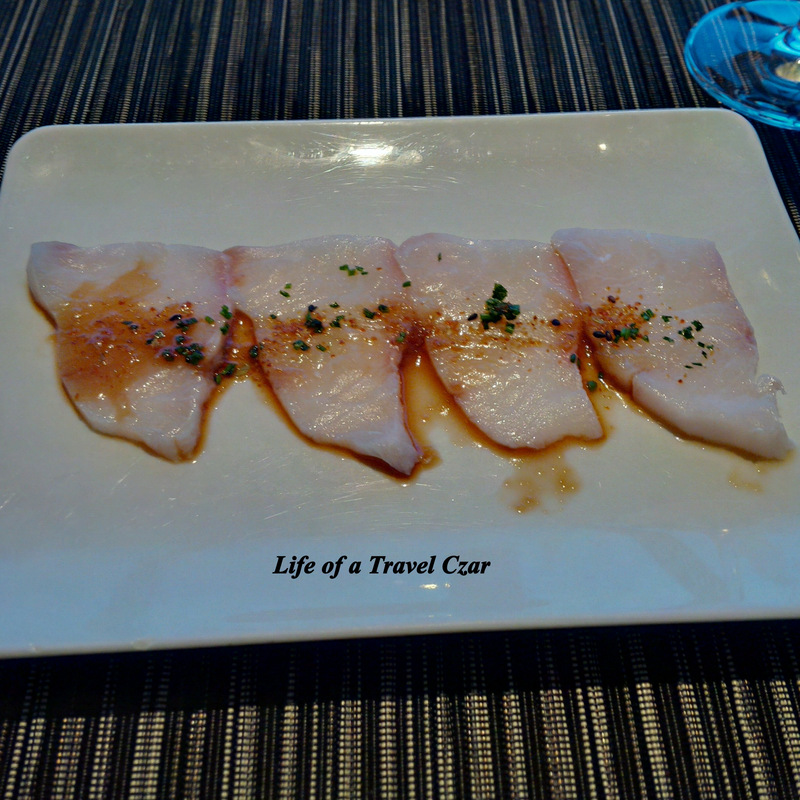 I peruse the menu quickly before settling on a glass of Moet & Chandon Grand Vintage (2006). 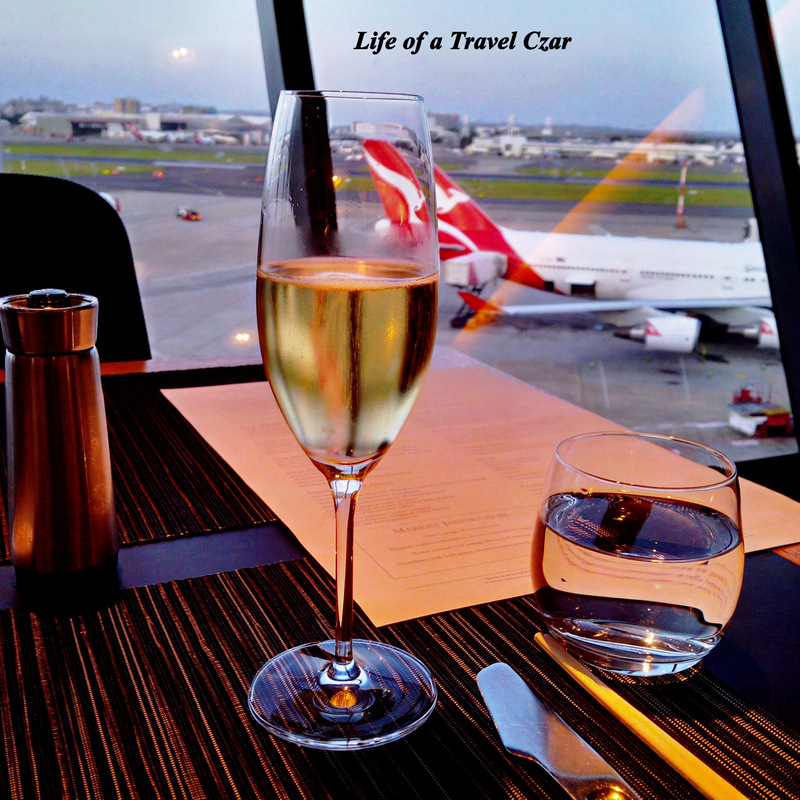 The view of the bubbles in the light yellow champagne finding their way to the surface before disappearing is a delight but when coupled with the wonderful bright red logo of the Qantas aircraft in the background must be one of the most spectacular sights. The Grand Vintage has lovely honey and floral aromas while on the palate the taste of nectarines, currants with creamy crusty richness along with some subtle hints of toasted almond in the finish makes for a excellent start to the evening. The beautiful firm rich oily fish with the light salt of the soy, the crunch of daikon and wonderful spice of the togarashi to balance is the perfect start to dinner. Its simple but just shows what quality produce can do with little culinary involvement. 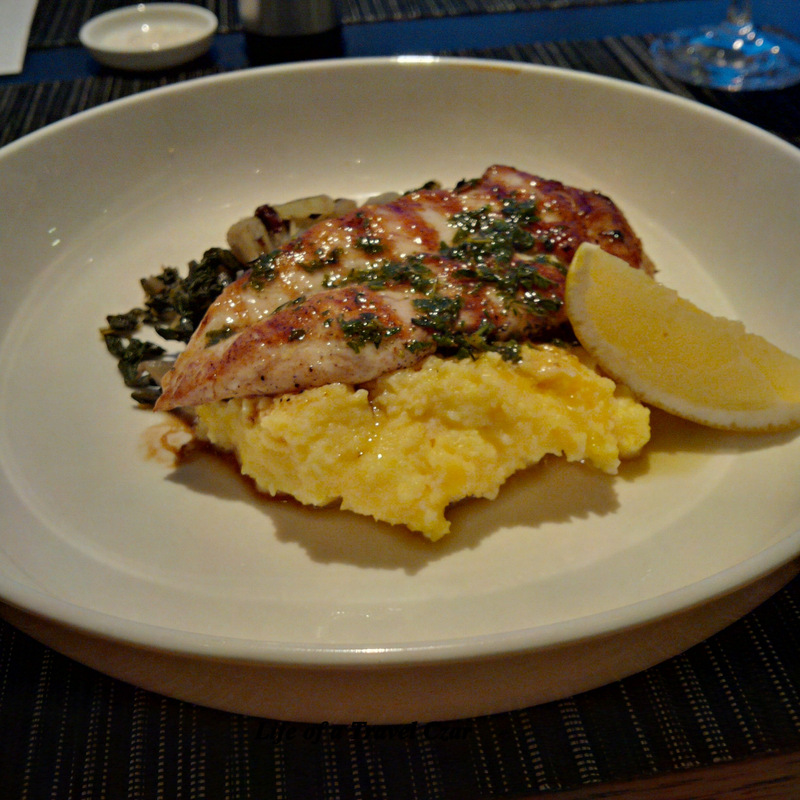 I opt for the Grilled chicken breast with silverbeet, oregano salmoriglio & soft polenta for the main course. The chicken is delightful, the rich herby aroma of the thyme and oregano immediately catches your attention. The smoky charred surface of the chicken which has experienced the wrath of the grill’s heat works in tandem with the tender moist succulent middle portion of the chicken for an amazing taste sensation. The olive oil dressing also adds a Mediterranean lightness to the dish. The soft grainy textured polenta adds a mild balance to the dish while the crunchy silverbeet introduces a different layer of texture while some raisins in the salad add a tangy sweetness to round out the experience. I pair the chicken with a glass of the Carlei Green Vineyards Pinot Gris 2012, Cardinia Ranges, Victoria. This wine has wonderful aromas of pear and citrus fruits. The rich, balanced and textured flavours of pear and lime continue on the palate being balanced masterfully by a crisp and lively acidity. The perfect tonic to a Saturday night in the lounge. 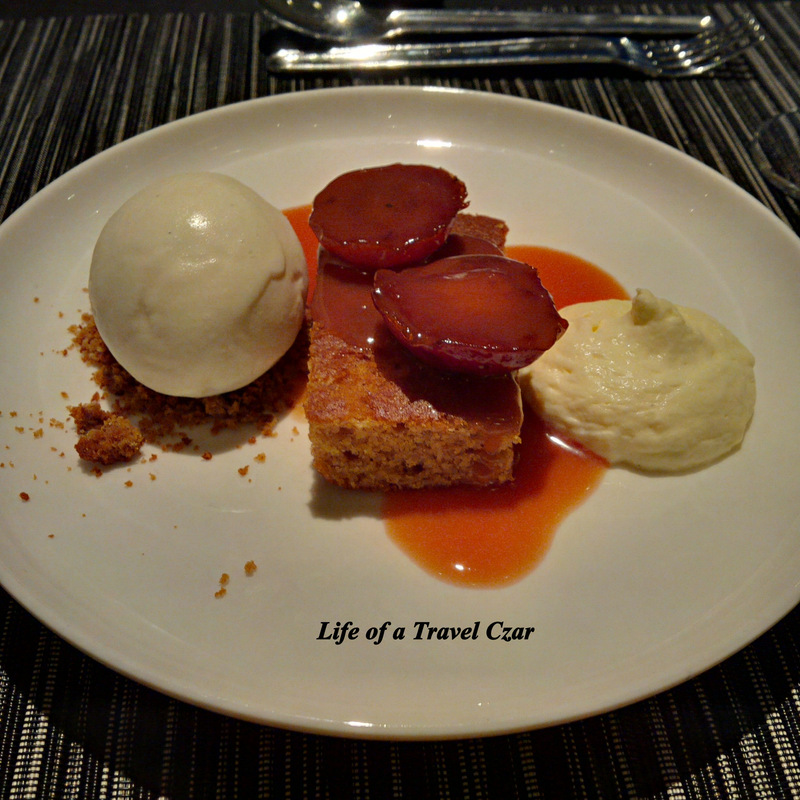 I then settle on the Grilled plums with vanilla gelato & soft gingerbread. The gingerbread slice is one of those taste sensations which brings back memories of those ginger snap cookies I had when I was a child. There is the initial sweetness from the first bite of the slice but then there is the sharp edge of the ginger that creeps in the aftertaste to balance the dish. 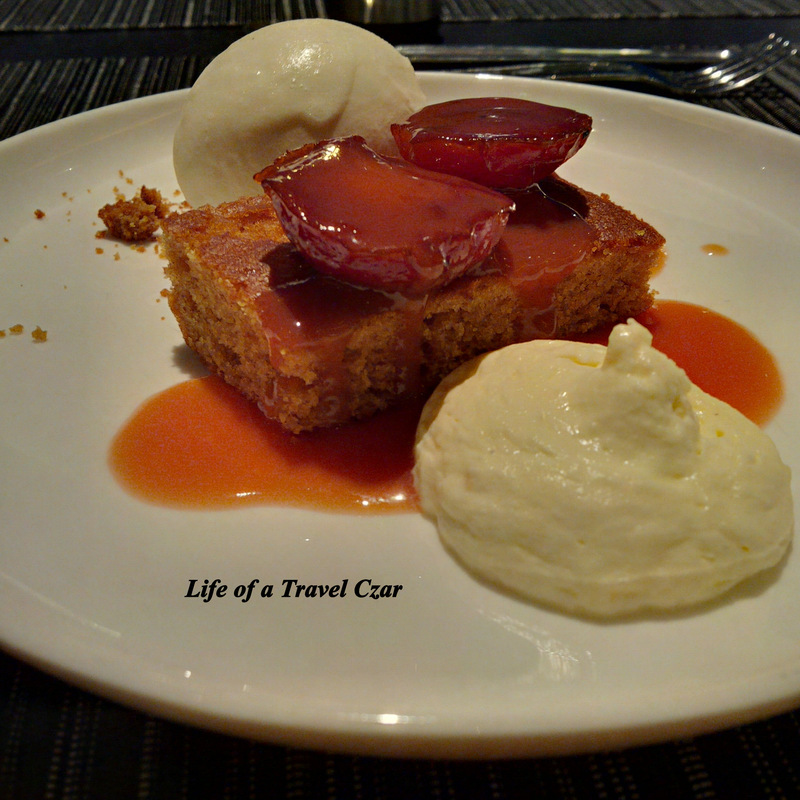 The fleshy juicy plums which have that stringy stony texture on the tongue are well placed in the dish while the rich sweetness of the sauce seeps through the gingerbread to soften it further. The intensity of the fruit flavours is balanced by the gelato on the side to provide a creamy interlude for the dessert. 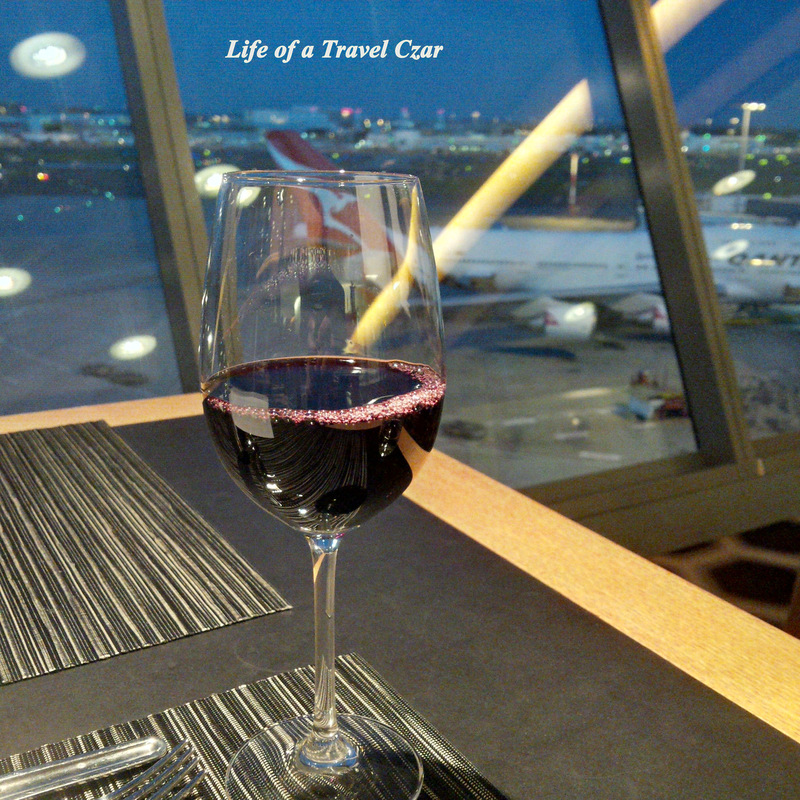 I pair it with the St Hallett ‘Butcher’s Cart’ Shiraz 2012, Barossa Valley, South Australia. The wine has rich blueberries and dark cherries aromas which translates into a lush palate full of red berries and plum flavours with a nice tannin grip to balance the fruit intensity. I finish my dinner, then chat to one of the Lounge Hosts (Rebecca) who is always oh so friendly and shares my love of traveling. I then decide to sample a few of the red wines on the menu. The best of the lot is the Reschke ‘Vitulus’ Cabernet Sauvignon 2010, Coonawarra, South Australia. The wine has beautiful hints of wood and cassis on the nose which is followed by juicy blackcurrant flavours with the lovely bite of oak and fine tannins to provide a nice grip. Its a lovely full bodied deep wine which is perfect for the evening. I then am feeling a little peckish as the night draws on, so I decide to sample a few more dishes. 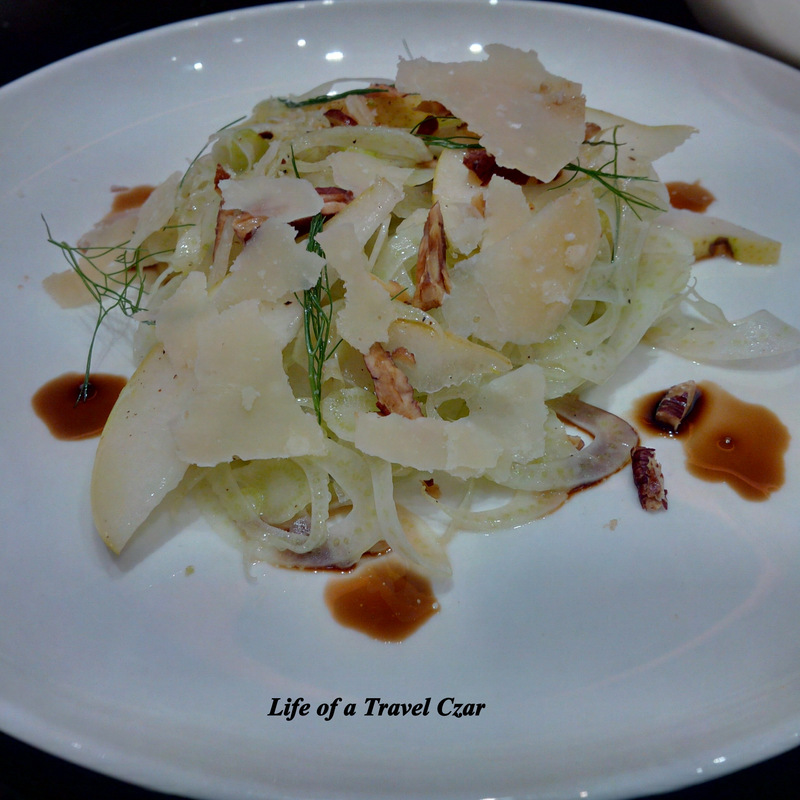 I start with the Shaved fennel salad with William pear, pecans & Parmigiano reggiano. Its a nice simple dish. The crunch and mild taste of the fennel is pitted against the sweet grainy textured juicy pear while the crunchy pecans and sharp richness of the Parmigiano reggiano combine together to round out the experience. The rich tomato and beef combined to form a rich thick succulent tasting experience. 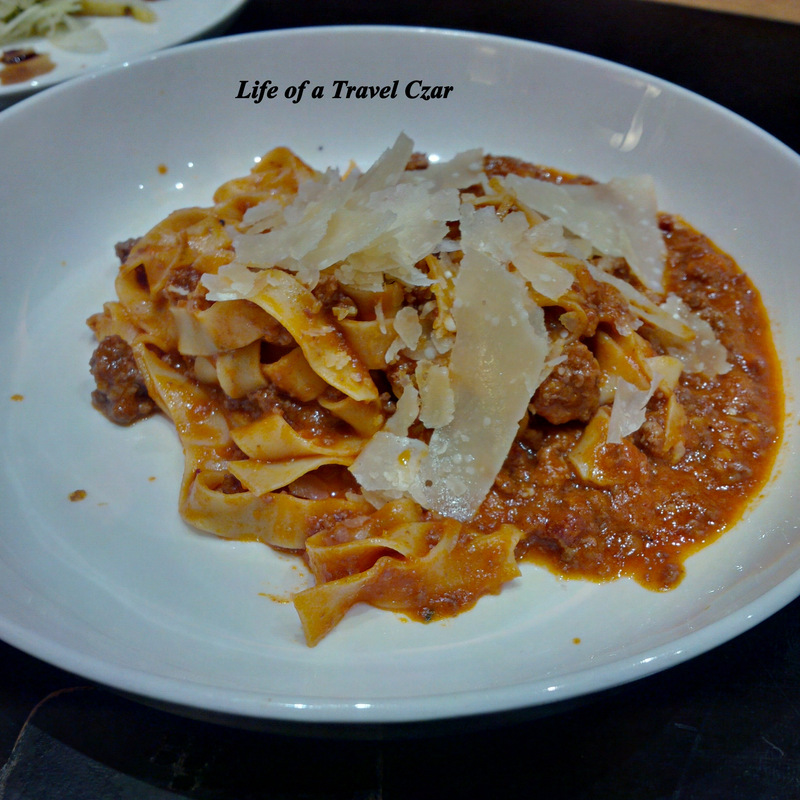 The soft wheaty pasta helps to hold the ragu together and adds a plush softness to the dish. The sharp rich creamy parmesan floats in balance the juiciness of the rest of the ingredients. Then the boarding call chimes and well I gotta go. So I pack my things and say goodbye to my friendly hosts before leaving the lounge for my overnight flight to Hong Kong. 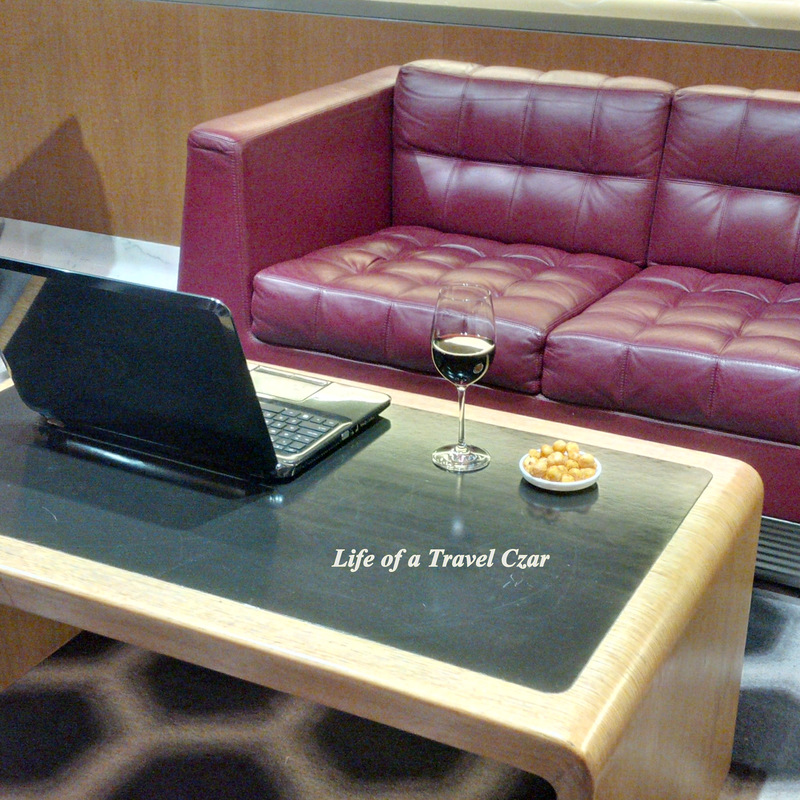 Goodness, and here I was excited just to be in the Qantas Club, let alone the First Class lounge! Great overview, though. I agree, much of the fun of travel is enjoying the relaxation and comforts of the lounge, and discovering the local touches in different places. We were particularly thrilled to find a selection of individual bottles of sake in the Tokyo Qantas lounge, a final taste of Japan before we came home. Thanks. Agree its Lounging is definitely one of the real joys of traveling! Most of us can only wish to experience that but thanks for sharing!